My rabbi was wonderful in most ways, but he was not able to get past the idea of intermarriage in spite of how prevalent it is. I grew up in a warm, community-oriented Conservative synagogue in New Jersey. I was a Friday night regular, and my earliest memories include waiting until the service ended to eat bowtie cookies at the Oneg. I became a bat mitzvah on a Friday night, but read Torah for the first time one year later, when girls obtained the privilege, at my brother’s bar mitzvah. I went on to become confirmed, serve as USY president, and read from the Megillah on Purim. I did all this with the encouragement of my rabbi, a man who had always supported my choices and always greeted me with a bear hug. Our relationship was strong until he found out that I was planning to intermarry. I was not the sort of kid who anyone thought would intermarry, but like so many others, I fell in love outside my faith. 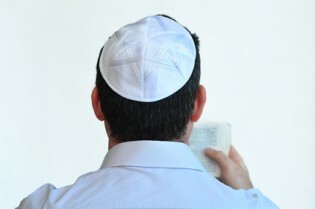 I extracted all sorts of promises from my future husband: We would have only one religion in our house – Judaism; our children would be named in the Jewish tradition and not be given suffixes like Jr. or “the third,” as he was named. I made it clear these were deal breakers. But, there’s more. I wanted to share my community with my husband. I thought that if he experienced the warmth of my synagogue, the charisma of my rabbi, he would want to join the tribe. I was thrilled to attend High Holiday services my first year of marriage with my parents. As we made our way through the receiving line, I was ready for the traditional big hug from the rabbi. He skipped us. He went right to the next person as if we were not standing there. I felt the color rush to my cheeks, but moved along so I could deal with my feelings. Later, I tried to discuss this with my parents, but they had not seen it and could not believe he was capable of such behavior. Sadly for me, it would be the last High Holiday spent at that synagogue. This was certainly not helping my quest to show my husband the joy of our religious traditions. Over the years, we found our own Jewish community, one more welcoming, and we raised a Jewish family. We circumcised our triplet sons, named our daughter, sent them all to Jewish preschool at our synagogue, and to Jewish camp. We got involved; we served on Jewish boards. Pleased to see that we were establishing our own Jewish community, my father trotted out these examples of my Jewish involvement to the rabbi who snubbed us. “Look, Amy is on a Jewish board!” and “ Read this wonderful article Amy wrote about the Jewish community!” and “We’re just back from the bris of our new grandsons!” I don’t know what sort of response my father received, but he seemed to think some of the cold shoulder was in my mind. About 10 years after the High Holy Day snub, I returned without my husband and children, to be with my parents. My mother had had open-heart surgery, and my father and I wanted to say a mishaberach. So many people greeted me warmly, and it felt good to be back in this community that had been so important to me. I was immediately given an aliyah. My father kvelled. On my way back from the bimah, people shook my hand and said yasher koach, except for one person; the rabbi never even looked at me, much less spoke to me. This time, my father saw the snubbing firsthand and was angry to see me treated that way, infuriated that my mother’s surgery did not trump his feelings. I did not deserve this. Many years later, my parents passed away, the result of a tragic accident. Bizarrely, their funeral was to be the rabbi’s last before his retirement later that week. I wondered how he would treat me? Losing two parents is not easy; my brother and I were so fragile. Through my brother, the rabbi offered help with the funeral arrangements, and with the selection of caskets. We welcomed it. We needed it. I wanted to scream, “I have never stopped being a Jew! What kind of question is that?” But, I was too fragile, so I nodded in affirmation and choked back the tears. He did a beautiful job with their eulogies; he really knew them. The funeral was standing room only. Many returned for the shivah, at the end of which, some of my parents’ friends asked me about the rabbi’s treatment. I realized I was in good company as they shared the news that their own children who intermarried had not been welcomed back. Many looked forward to the new rabbi, starting his job that very same week, for this very reason. They did not want to lose young families to other synagogues. They did not want their own children to feel unwelcome. They had interviewed rabbis with this in mind. It was time to think differently about intermarriage. It took me a long time to come to terms with this episode in my life, but I know a new generation of rabbis who see intermarriage differently, as an opportunity to gain Jews. They see that alienating the Jewish family members does not help anyone or Judaism as a whole. It’s been a process and an evolution for everyone. Yet, as I leaned on so many people during the days and weeks following the death of my parents, I came to understand the synagogue of my youth as an ideal environment. He was a wonderful rabbi in most ways, and it is unfortunate that he was never able to get past intermarriage, an issue affecting so many families. It was unfortunate because the good stuff was very good. I was the product of a solid Jewish community and, while the rabbi, for myriad reasons, was no longer able to be part of it for me, I retained enormous support from the community he built – the people who watched me grow up, the people who loved my parents and me. 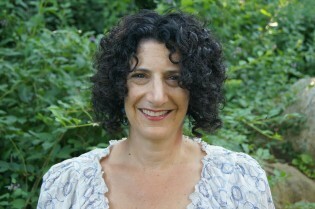 Amy Sessler Powell is the communications director at HBI. She has been writing for local and national news organizations for 25 years. She is the former associate editor of the Jewish Journal in Salem, Massachusetts, and former publicity director for the Lappin Foundation. She was part of the inaugural team for the Boston Globe North section. She has also written publicity materials and web content for KIPP Academy, the Cohen Foundation camps, Aviv Centers for Living, Keith Lane Creative Group, and others. She holds a master’s degree from Boston University and a bachelor’s degree from Tufts University. 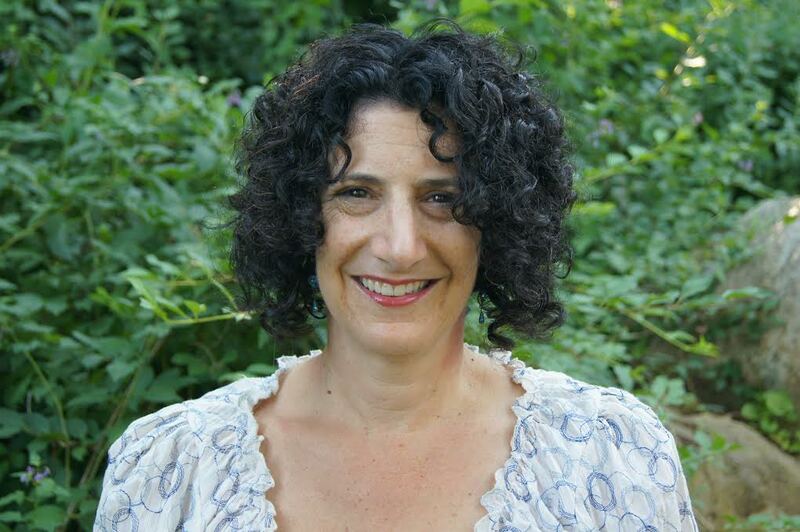 Her work has appeared in Parenting Magazine, RandomHousekids.com, Interfaithfamily.com, JewishBoston.com, Lamaze.com, Twins Magazine, and others. Amy’s wonderful article angered and saddened me. How I wish she had not experienced her rabbi’s rejection and how I wish this had not been common. Her words reminded me of my own experience with a rabbi who greeted my joyful announcement of my daughter’s engagement with “I hope you don’t expect me to marry them.” He didn’t, but another rabbi officiated at a warm, meaningful ceremony. They have raised a beautiful Jewish family with the support of a rabbi, cantor and congregation that welcomes intermarried couples. I admire Amy for this article, a piece that is trying hard, throughout to be fair, when hurt, deep hurt is the subject. I think you shine, Amy. Everyone has lessons to learn in life, including rabbis. And certainly, intermarriage is big on the Rabbi circuit, as so many passionate articles have been written about this, from many perspectives. In this case, the children were brought up Jewish, and within a Jewish community. It’s hard to take issue with this. My son intermarried, and I have no problem with this. I perceive that what is happening in the world is both and, and it feels like, the entire Greater Story is orchestrated, perhaps, to make us think about identity, and what and where we derive meaning in life. And it could be, as I am seeing, we’ve all been in each others’ tents around the world, and maybe merger, as in melting pot, and also separate, as in heritage, and unique and beautiful traditions and that love, of place and being, is all part of an emergent Story that will bring us together, hands around the world. Yes, I am a dreamer. I believe in dreams. Many colors, as in Joseph and his coat. Many hues. Many yous.